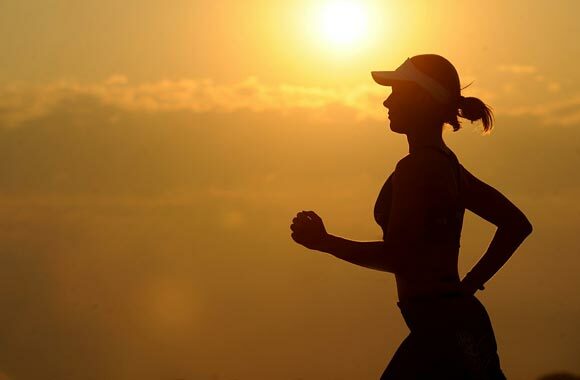 Running is considered to be safe and easy to perform a workout for losing extra body fats. It can be executed by anyone. Some people prefer dieting over exercise and different other methods to lose weight. But they are not aware of the detrimental effects of dieting on the body. Also, they are unaware of the correct way of dieting. Thinking that cutting down eating may help them in losing weight is not a good idea. It is necessary to cut down calories not a food as a whole. Eating foods of low calories and a good sort of activity such as running can prove beneficial. Here we will discuss the benefits of running in losing weight. Running is another type of cardiovascular exercise. When you run, there are lots of muscles that enable you to run. Not only the muscle of legs work but also of your respiration as well as arms’ muscles. As a whole, running enables moving of muscles of a different part of the body. The muscle movements lead to the need for more oxygen and in order to compensate more oxygen requirement our heart works more. Heart rate increases and thus the blood flow. The enhanced blood flow provides more oxygen to the working muscles. So, you see running can bring about so much working within your body. All these require energy which is provided by your body itself. In this way, energy comes from different sources within the body and slowly it comes from burning of fats. In addition to above-mentioned beneficial effect, running helps in burning of calories. If you have taken extra calories, just run for 30 minutes and it will help you losing these extra calories. Running a long distance for a long time enables more calories burning. More the time you run, more you will burn your calories. Running is considered to be the more powerful as compared to other kinds of activities such as brisk walking or swimming etc. It enables more calories burning than others. It allows enhanced losing of calories because it leads to involvement of your whole body while also increases the need for energy. When you do other workouts, you have to do them at least for 30 minutes to have some effect. But running may take only 15 minutes for providing the similar influence. You can increase this timing as well to get fast losing of your weight. The recommended time for losing weight is to run for at least 30 minutes thrice a week. Start with a little time and gradually increase it. In fact, running is the safest and fastest way of losing your extra fats. It is even essential for the health of heart as it enables the heart to operate more effectively and delivers blood and oxygen to targeted tissues. But keep in mind; your consistency and patience are also required to attain your desired weight and body shape. Run and take a balanced diet, not only you will lose weight but you will remain healthy and active.